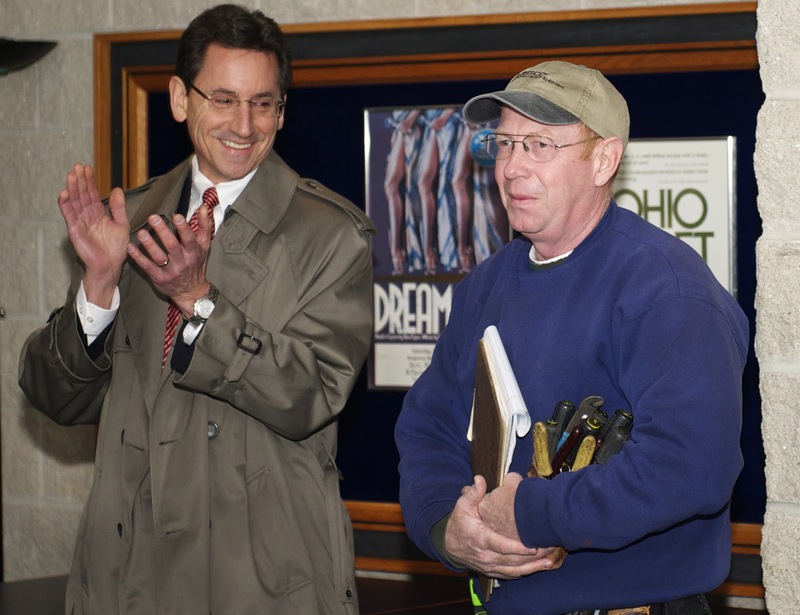 At 9:30 a.m., UIS Electrician Foreman John Stanulis was supposed to walk into the PAC restaurant and into his surprise party. His colleagues and friends had gathered to celebrate that he had been chosen as the UIS Employee of the Month for March 2013. The seconds ticked past, and his supervisor, Dave Barrows, called him on the radio to find out his location. He was in the “electric shop,” working. “John is an exceptional individual and employee. He has an uncanny ability to think through and address a multitude of projects, topics, and campus needs, all at one time,” writes his nominator. As Employee of the Month, Stanulis will receive a special parking spot for the month along with some extra spending cash on his i-card.